We Are Sew Happy! 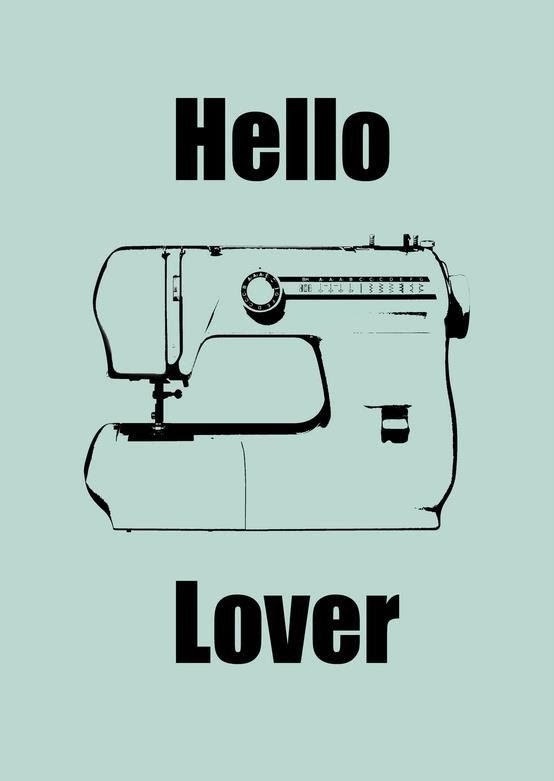 : I want to start sewing, what machine should I buy? I hear this question almost daily from friends, customers, and family. Although I have been in the fabric/ sewing business for almost three years now, I never know how to answer.
" Which dryer is best?" " What dishwasher should I purchase?" " What computer should I get?" Essentially, without knowing more about you, how much you will use it, what you are using it for, and what you can afford, it would be impossible for me to answer. I used to answer with "If you are new to sewing, then go out and buy a cheap machine to see if you like it." I said this out of the idea that there was one answer for everyone. Meanwhile, over the past three years, I have learned one-size-fits-all-beginnings is not the case. I have a lot of friends that bought a $100-$200 dollar machine only to buy a new one a few months later. Take your time and do your research. Don't waste your money on something you are going to replace soon. Just like a car, dryer, dishwasher, or computer, you get what you pay for; sewing machines and technology have come a long way. I remember summers sewing at my Grandmother's house in Mississippi. I remember being hot, really hot, and I remember the prep work, the mess, and the smell of the iron, but most of all I remember some cardinal rules for sewing. 1. Take your time cutting out your fabric; every 1/8th of an inch makes a difference. 2. Always press your seams. 3. Always put the needle down every time you stop sewing, so your fabric doesn't move and your stitch doesn't jump. 4. Always put the foot down before you start sewing, or you will have to rethread your machine. 5. Raise the bobbin thread every time you rethread. 6. Always, always, always backstitch. 7. Keep your user manual with you, so you can adjust your tension, your stitch, or your needle for different fabrics. I followed these rules for years, and although I loved sewing, I’m not going to lie: these rules were no fun and stopped me from sewing in college. It was just too much work! I used to believe that all you needed was a straight stitch and a zig zag, and you were good to go. That statement is true: you can sew anything with a straight stitch and a zig zag. But, will you enjoy it, will it last, and how much time will it take? I think these things are what gave people headaches and made entire generation quit sewing. Sewing is a lot of work, but what I have learned over the past three years is that, with technology, it doesn't have to be. The resurgence of sewing is part due to blogs, Pinterest, new fabric designers, and trendy patterns, but most of all because sewing can be easy…very easy. Yes, you still need to cut out and iron, but with newer sewing machines, sewing can be fun, relaxing, and worthy of your time. I know a lot of new sewers take this technology for granted, and, honestly, that is okay. I'm sure people thought the same thing when sewing machines first had engines. I often find myself wondering if my Grandmother was still alive, what she would think: I think she would love it. Okay, so, going back to the real question: "What machine should I buy?" Honestly, here are my thoughts: Get a machine you can afford. You will enjoy sewing so much more if you just do it, spend a little extra money, and get a machine that is worth your effort and time. I say this because everyone’s situation is different. You get what you pay for, and with sewing machines, every penny is worth it. Every hobby has a price tag, and most people have to settle at some point based on what they can afford. This holds true with golfing, fishing, hunting, biking, running, painting, cooking, and surfing, etc. There is always a new technology, gadget etc. The reason why a lot of sewers do not look at it this way is because it is a common belief that people start this hobby to "save money." I hate to break it to you, but you will never save money with any hobby—at least that has been my experience. You do it because you love it. Yes, I do save money making my kids clothing, but would I buy them custom clothing if I didn't sew, probably not. Just like cars, there are a lot of different brands…Do your research before you purchase!! Do not just buy a Singer because you remember your Grandmother sewing on a Singer. I personally recommend Viking, Bernina, or Brother. I own all three brands and love them. I have heard a lot of good things about Janome and BabyLock as well. Another thing to think about is how long you want your machine to last. If you want to buy a new machine every two years, go ahead and get one from Walmart or Costco. I say this because it’s not worth the price to fix those machines, and you will have to buy a new one in two to three years. Even if you never use your machine, you will need a new one in 3-4 years because those machines do not sit well. If you are in for the long haul, go to your local fabric store and buy a machine you will love. What type of bells and whistles do you want? Remember those rules I talked about. Almost all newer machines have an option to put the needle down when you stop sewing, and they have a top loading bobbin. Some machines, like the Viking machines, change tension settings, foot pressure, and settings depending on what fabric you are using. No more need for the quick manual references! The Vikings also do a lock stitch when you start sewing, no more backstitching!!! Also you can make a new bobbin without having to unthread your machine. Some machines will even cut your thread after each seam! If you haven't sewn before, you wouldn't know what you need or what is of value to you. If you quilt, then a larger arm might be important to you. Again, this goes back to you get what you pay for, and just like comparing car makes and models, you really need to do your research and give a new machine a test drive. At Five Eighth Seams, we waited to sell machines for two reasons. The main reason is because we didn't want to turn into machine pushers; we wanted people to just love sewing without feeling like they had to invest in a lot to start a new hobby. I still feel that way which is why we still have machines you can rent, so you don't have to take that initial plunge right off the bat. We sell notions, but we tell you not to go out and just buy every gadget you see; buy them as you need it. We offer a kit with the essentials to get you started, but, after that, buy as you need. The second reason was that Viking was already being sold in Summerville. We really like Viking and what their machines have to offer. 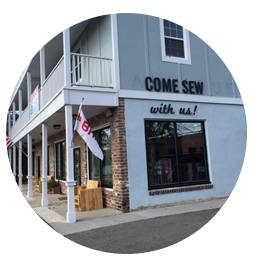 Although we are not officially a machine dealer, and we are really just another location Sew' n Sew is using to sell machines, I am happy about the decision. We can now offer all levels of machines, all levels of help, and more accessories and notions. I do love Viking as a company, and, of course, I love their machines, but I know everyone is different, and we welcome all machines in class, open sew, etc. I hope this helps answer your questions. If not, or you have more questions, do not hesitate to ask. Get a machine that you will love not something you tolerate. 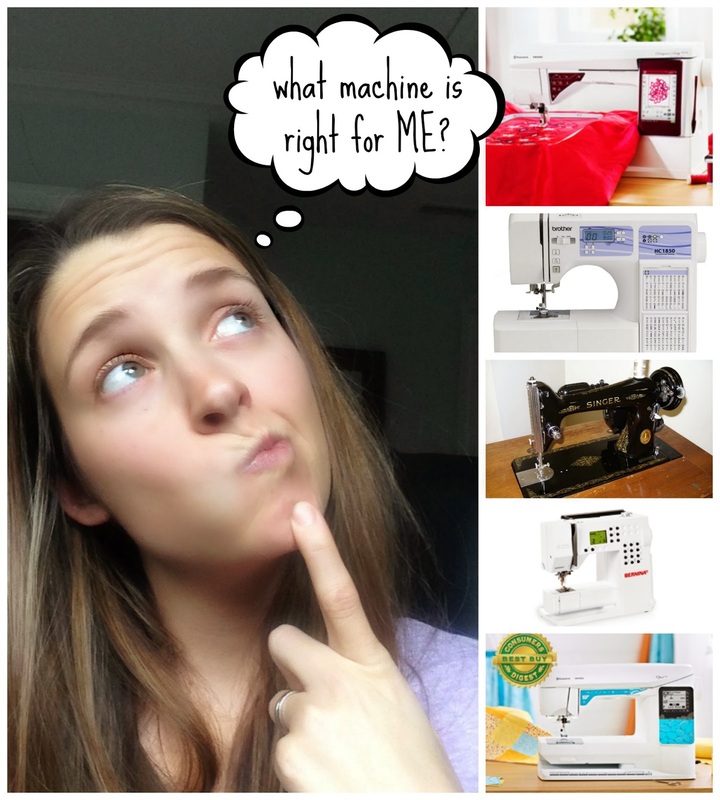 Finding one machine for specific sewing need can be real easy, but getting that one machine for all of your sewing needs can be a bit daunting. Your post is really helpful for those who are looking for new sewing machine. This helped me a lot in choosing the best machine for myself, thanks for posting.